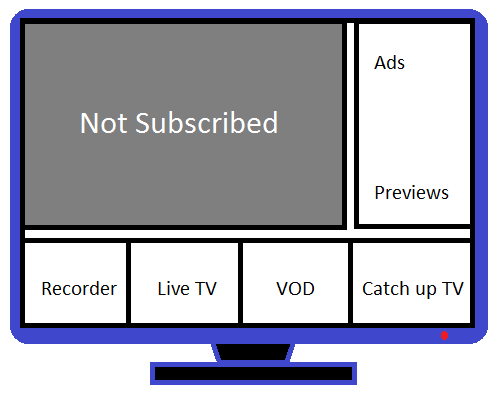 When you TURN ON the IPTV receiver, instead of channel preview you will receive an error "Not subscribed". This problem occurs if the your IPTV Serial number and MAC address is not matching with Etisalat system records. Turning OFF/ON the main fiber optic box or the IPTV receiver will not solve this issue, you must call 101 and register your complaint so that field engineer will visit your place to correct the IPTV Serial number and MAC address. In most of the case, they will change your IPTV receiver.